We be Fun! Laughter and joy-filled services can be found when you walk through the doors at 902 Lincoln Ave. We have a rich history of a reformed tradition that is connected to the United Church of Christ. The United Church of Christ uses a comma so we remember, “God is Still Speaking, never place a period where a comma should be.” God continues to speak to us at Grace UCC. 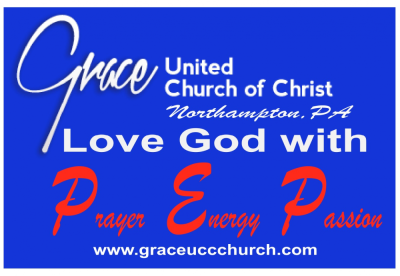 Grace Church is a part of the Penn Northeast Conference of the United Church of Christ. I would like more information please!